Cut warmed biscuit in half and plate. Place 1 sausage patty on each half. Cook 3-4 ounces of liquid eggs, fold and cut in half. Place half on each sausage patty. 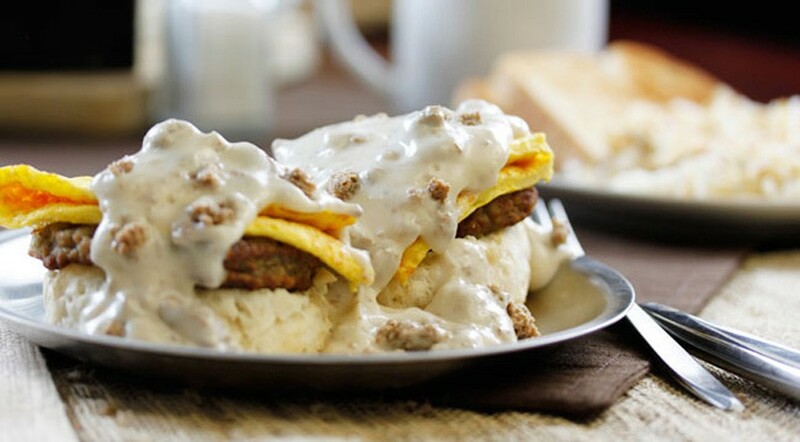 Cover with 2 ounces of VANEE COUNTRY STYLE SAUSAGE GRAVY. Serve with a side of toast and hash browns.